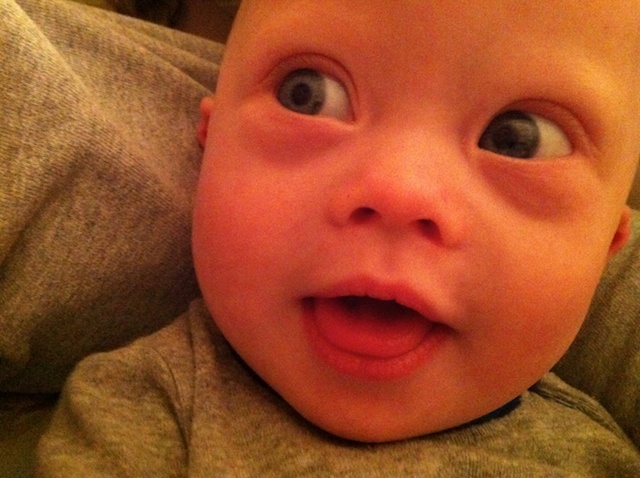 Parting Is Such Sweet Sorrow || Noah's Dad || Down Syndrome Is Ok! The worst part about visiting your family is that you eventually have to say goodbye. I think this gets harder the older you get. It never fails that someone in my family cries during goodbyes. I am not going to lie, it is often me and it has only increased since Noah was born. It seems like only yesterday we were having a party in the backyard, but sadly today we had to say good bye. I will miss you Grandpa! We were able to fit in some quality time before hitting the road. When can we get this thing on the water? Noah got to check out the boat for the first time. 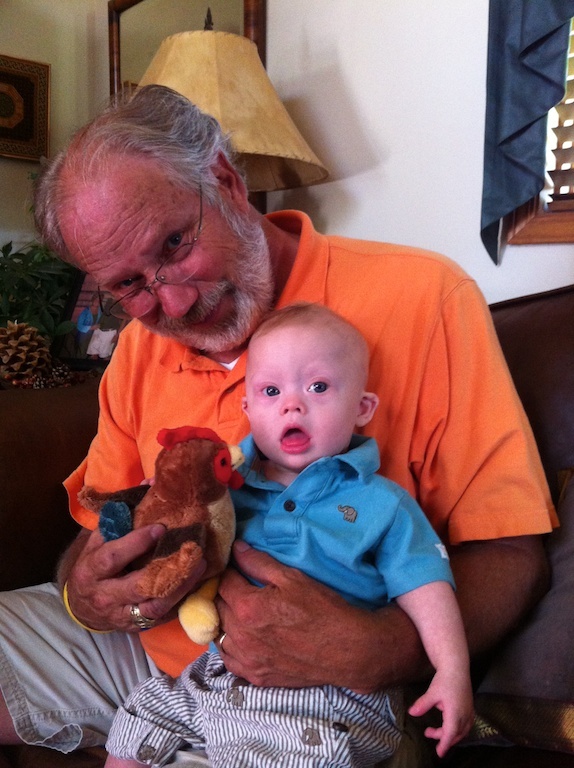 Grandpa can’t wait to take him fishing. It may be a little while before we let him be in a boat on actual water. Grandpa has a pond in his backyard so they can fish to their heart’s content out there. 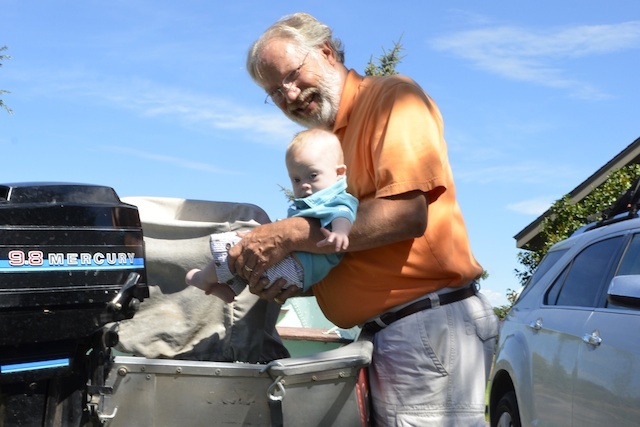 Grandparents are pretty helpful when you have a baby and I appreciate all that they do for us. They stayed with us when Noah was born, and I am not quite sure how we would have survived without them there. They made sure we ate and kept the house functioning while we were dealing with everything. That was a tearful goodbye all around when they left. Thankfully this family experience was not over yet as we were headed to Denver to hang out with my brother for one more night. This was actually one of Rick and I’s first dates. 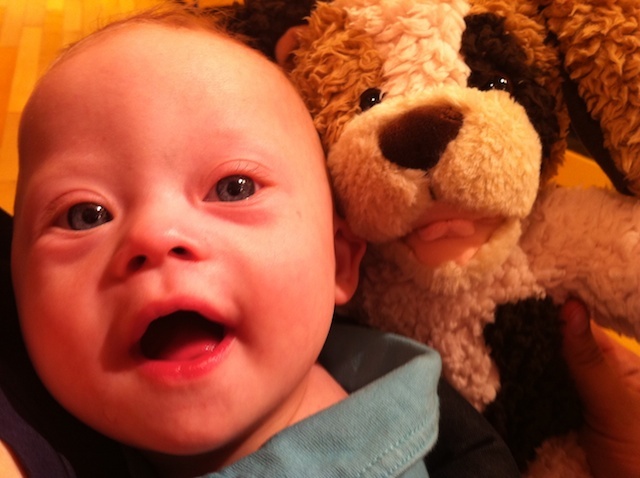 He brought me to a Build-A-Bear and we created a bear named Dallas. He is now 10 years old, go figure. We hung out with my brother and his family for one more night. His wife is an AMAZING cook so she whipped up quite the meal for us. One very nice thing about family is hand-me-downs. Sadie was nice enough to look through her stuff and pass down clothes and toys to Noah. There is plenty more for the future too, we just couldn’t fit it in the car (or our apartment right now). 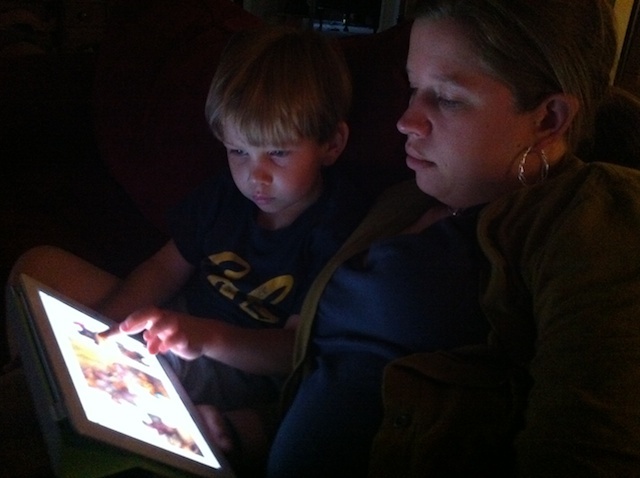 Guy and I hit up the iPad while Sadie entertained Noah with one of his new toys. As we have mentioned he loves things that light up so this was right up his ally. Noah was resting peacefully with his new blankie (thanks to Guy nicely passing this down to him), when all of sudden he did something he has not done in months. Oh wait, his father picked him up and cuddled with him which just happened to also wake the poor child up. I am telling mom you woke me up! So now Noah wanted to eat, play, and act like it was the middle of the afternoon. 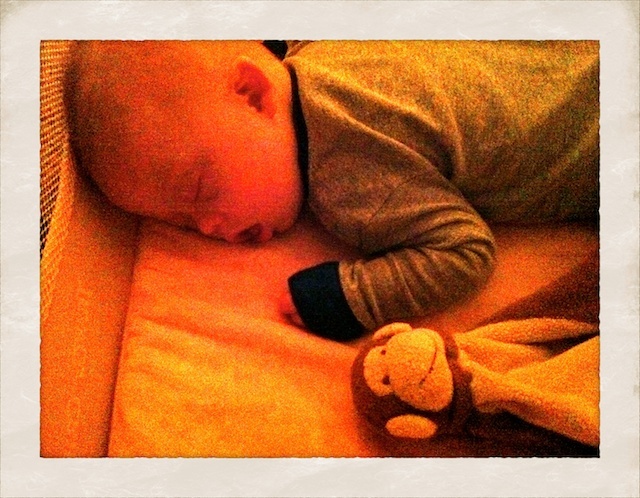 After about an hour, Noah was back peacefully sleeping as were his parents. Do you like hanging out with your siblings too? What do your kids think of their cousins?